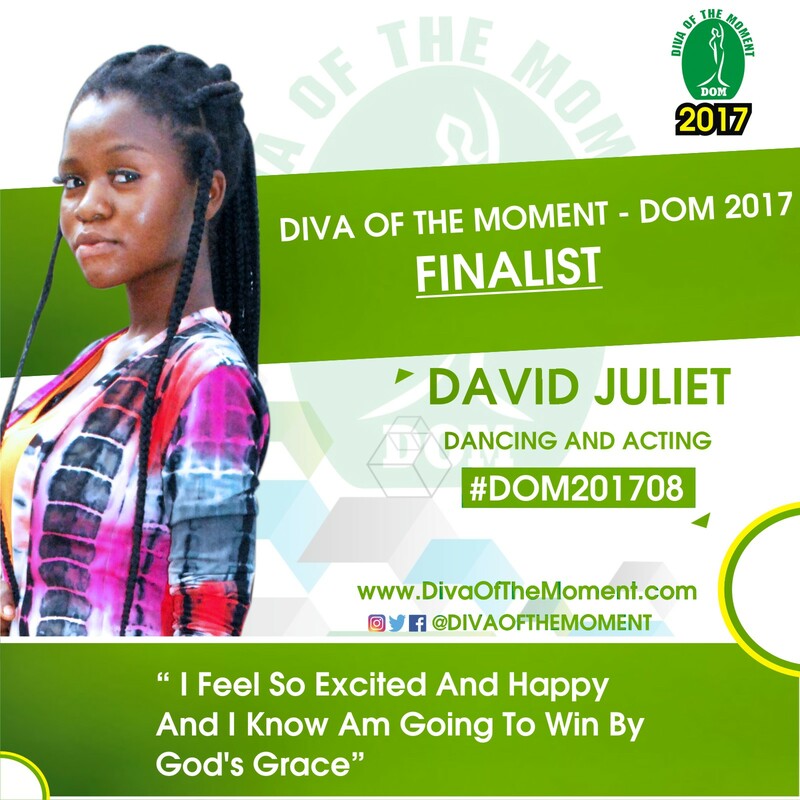 David Juliet emerges as the DIVA OF THE MOMENT - DOM 2017 Talent Hunt Competition Winner. Ten finalists had participated at the grand finale which had two phases judged by combination of votes from online, the audience and a panel at the venue. The first phase eliminated five of the contestants based on votes collation resulting from the stage performances and accompanying grills by the panel. In the end, Juliet David emerged, suddenly overtaking high-performing acts by votes of audience and the panel. She created, acted and danced spontaneously with what reflected her current situation, while creatively imagining on stage, a communication with her sick mum, whom she had not been able to travel to meet due to her tight engagement at the competition. 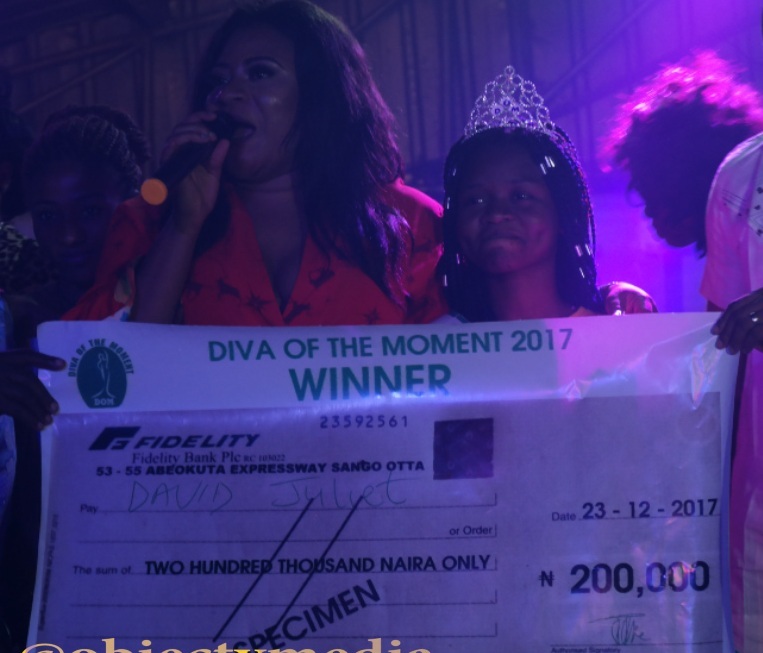 Other high flying finalists included Ramota Ajijola, who put up comic scenes and Omorubore Promise Abidemi, who sketched images of separate humans standing with her on the stage within record minutes among others. DejiKing Entertainment: David Juliet emerges as the DIVA OF THE MOMENT - DOM 2017 Talent Hunt Competition Winner.